An excerpt from Days of Twilight and Mischief, due out next month! That night, something else came to the door. We were unaware, as we slept, but later – much later, after my time in Dar’on – I would become acquainted with the creature and how it operated. Thus I can paint a clear account of its visit. It came out of the shadows and shuffled across the field on all fours. Not as something normally meant to crawl on all fours, but like a human who chose to do so for some reason beyond common comprehension. So long had it chosen this method of travel that its back had stooped severely, becoming a hunched, deformed thing, and it moved in a swift, distorted fashion across the field. Somewhat ape-like, somewhat spider-like. Every motion twisted and flicked to create a freakish shadow that tricked the eye, appearing as often like an extension of the creature itself as it did a mere impression of it. Around the manor and up to the door it scuffled, where it carefully opened the screen, raised a stringy, clawed hand and dragged a diagonal pattern of scratch marks across the face of the door. It might have stopped there, leaving your average signature of claw marks to be attributed to any number of wild creatures. But it was only the first of four swipes. The second, it dragged diagonally across the first to create a many-layered X. The third went horizontally across the middle of the X, and the fourth vertically as if to connect the last compass points. Yet it was not the symbol of a compass that would greet those who came to the doorstep of Manor Dorn from that day forward, but the likeness of a web. One final flourish of the creature’s claws, a perfect circle around the middle of the symbol, finished the representation. Then, rather than dropping back to all fours to scurry away into the night, the creature looked upward into the acrid midnight sky and placed its strange hands against the face of Manor Dorn, and scurried straight up the side of the house and over the rooftop, down the other side, and disappeared in a ripple of field grasses. In the morning, when I saw the symbol of a spider web scratched across our door, I would think to myself it was like Fate sealing Tane into our fold, sealing all of us together into the same house. I had brought him into our midst against my better judgment, and now we were all caught in the same web, strung together in an irrevocable binding of fate. An ill feeling settled in my stomach, but there was nothing for it. I gazed a moment longer at the disquieting mark and then left it to its reign on our manor, not about to meddle with it lest I get further caught up in its snare. Categories: Books, Excerpts, My Books, Writing | Tags: author, book, books, creative, excerpt, fiction, horror, indie, write, writer, writing | Permalink. And now, the cover reveal for the second volume in the freshly-edited Mischief saga, City of Winter and Tarnish! I just love it so much. Originally, I entitled this volume City of Web and Tarnish. I always knew I wanted a visual of a door perched on top of a heap of rubble, but I was never quite sure how I was going to fill in the background. Not for lack of ideas, but just because I could have done a number of things and didn’t know what would look best until I sat down to put it together. I always figured I’d just do a faded view of a ruined city or something along those lines, but literally as I was starting the cover design and saving the file, I typed the ‘W’ of ‘web’ into the file name and suddenly thought of the word ‘winter’. It just came to me, and I stopped, cursor blinking, considering the possibilities. I’d really fallen in love with ‘City of Web and Tarnish’, and it made sense, but Winter ALSO sounded amazing, and also happened to make sense plot-wise, since what’s through the doorway is essentially a winter landscape. The more I tried the name on my tongue, the more I liked it. And as soon as I started thinking about the design possibilities, I was sold. I love the graceful twist on what was originally a purely desolate vision, and I’ve always focused on telling the story based on a combination of beauty and horror. So the contrast of delicate lacy snow against grungey, haunted ruins is perfect. I’m so charmed with the result! Categories: Book Imagery, Books, Graphic Design, My Books, Writing | Tags: author, book, books, creative, fantasy, fiction, horror, indie, write, writer, writing | Permalink. After tremendous thought, deliberation, and consternation, I have decided – FOR THE TIME BEING – to un-publish the Breathtaker and Whisper series. Given my schedule constraints, feedback on both series, competing projects, and the general rule that sometimes you have to make sacrifices in life, it’s really the only appropriate decision. Both of these series were started very experimentally, published hastily to test the waters and maybe make a few bucks, and as such neither of them ever got the full attention, development, or editing that they needed or deserve. I’ve left them up because I didn’t want to accept defeat, and there are those one or two fans eagerly awaiting the next installments of the series, but I can’t help but cringe every time somebody new buys them and I know they won’t be reading the version of the story I want them to read. And I simply have NOT been able to get my head around finishing the sequels when I plan on re-writing the existing books anyway. So, in order to clear the competing chaos in my head so I can actually focus enough to get SOMETHING written and start clearing my to-do list for a much more productive near-future of writing, I have chosen these series to put temporarily out of my mind. I WILL return to them, at some point, and give them the polish and glory they deserve, but for now I have to fine-tune my focus and proceed with a logical career strategy. I’m confident that, overall, my fans will thank me for it. Nobody likes a writer with half a million unfinished series, who only ever starts new ones instead of finishing old ones. Now that that’s out of the way, let’s get down to the exciting stuff! As my second announcement, I am pleased to shout to the world that I have finally prioritized my life a little better and have successfully implemented ample writing time back into my schedule. I’ve been talking about doing this forever, and this time I actually ensured the reality. And I waited until I’d successfully established a regular schedule of writing again before announcing that yes, in fact, this time it’s really happening. I’ve been writing up a storm for the past two weeks, and won’t be letting anything get in the way. There may be small set backs, but this will be a year of writing. So, what am I working ON? 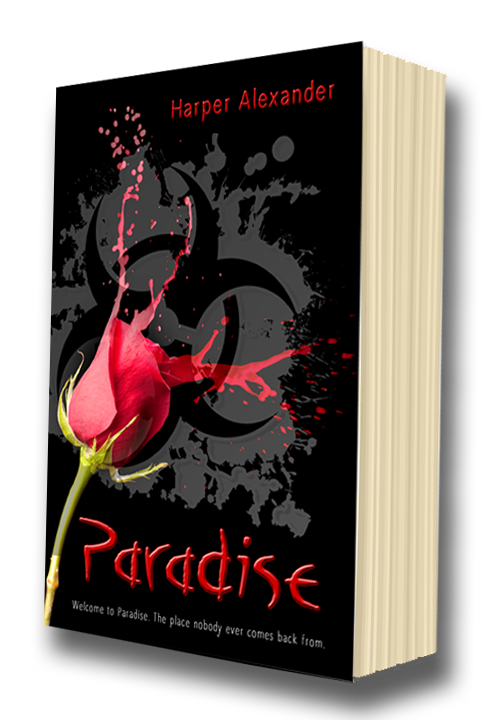 That brings me to my third announcement, which I’ve sort of already talked a little bit about in recent posts, but it’s officially on track: Paradise is with its new editor, scheduled to be back in my hands so I can apply the new edits and re-release it by mid-February or early March. While it’s at the editor, I’ve been hard at work finishing up the sequel, Wonderland. In two weeks I’ve added over 10k words, bringing me to the final 10k stretch. At this rate, I see no reason why it won’t be done by the time I get Paradise back from the editor, and also no reason why it can’t be released immediately following the re-release of Paradise. I’ve decided to add a third book to the series, which extends the overall conclusion of the series, but I finally have a good feel for the characters and the world, and I’ve got a good rhythm going, so I feel good about getting the whole thing wrapped up this year. The fourth announcement is my other side project. I always allow myself to work on two things at once, so I don’t get burnt out on either. So my second project is re-editing my huge standalone novel A Mischief in the Woodwork and re-releasing it in three shorter parts, as a fresh new trilogy. I’ve always had a special love for this book, but it’s just so big, and since it was written years ago at this point, and my writing has grown and developed a lot over the past couple years, I think releasing it as a polished new trilogy is just what it needs to truly shine. Also, it has allowed me to come up with three AMAZINGLY AWESOME new book titles (if you know me, you know naming books and series is one of my all-time favorite things to do), and three AMAZINGLY AWESOME new book covers – my other all-time favorite thing to devise. I’ll be following this post up shortly with one detailing the new names and covers, and probably release dates. I’m about a fifth of the way through edits, and hope to have those done by the end of the month. Last but not least, the fifth announcement is in regards to what I plan to work on NEXT. This is a particularly exciting announcement, because I’ve decided to work on the Slayer’s Child quartet, which, if you’d known me personally all my life, you’d know I’ve been planning with a child’s enthusiasm for OVER TEN YEARS. This was essentially my original fantasy series, which fell by the wayside to a million other ideas but, as a result, has been allowed to germinate and has accumulated HUNDREDS of ideas and developmental tidbits throughout the years. I can only imagine how much fun it’s going to be to finally get down to business and give it life at long last. I’ll most likely be finishing up the next Ace book (close to being finished already) and focusing on that series simultaneously with the Slayer’s Child series, as my two alternating projects this summer. With any luck, I’ll also have time to start/finish a couple standalones or novellas in there as well. Perhaps A Deathly Light or Shattering Dormant. We’ll see. I don’t want to get too bogged-down in what I’m planning next, or it’ll ruin all the clearing-out I’ve done of old stuff so I can focus on CURRENT stuff. But the main thing is, I’m back at it, and I’m loving it, and I have a new editor and feel like a new, official author again, and THIS IS GOING TO BE THE YEAR. Here’s to thousands, and thousands, and thousands of new words, that have been pent-up for too long. Categories: My Books, Writing | Tags: author, book, books, creative, fiction, indie, write, writer, writing | Permalink. You write yourself into corners sometimes. Big ones, small ones, medium-sized ones. Sometimes they’re the silliest little things, and you agonize over how to get out of them, how to get around them, how to trick them into letting you pass without knowing the password. (I’ve yet to successfully be like, ‘Ha! I tricked you good, didn’t I, Corner? !’ and continue on my merry flouncing way, unimpeded). And sometimes, if you’re smart enough (smarter than I tend to be), you realize you don’t have to. Today’s example: this character has been running across a danger-filled fantasy island of sorts, trying to get to shore so she can get back on board a certain ship that serves as a safe haven. I pretty much put her through hell, had to come up with clever ways for her to navigate back toward the vague location of the ship, and even threw in some luck for how she ended up pinpointing the thing. Only to realize once she did, there are certain impediments I already established in the water keeping her from swimming the last few dozen yards to safety. And it’s night time, and the shore is too dark for anyone on board to see her, and she can’t stand there yelling and waving her arms to get their attention lest she attract some of the aforementioned dangers from inland. So I’ve been sitting here for far too long agonizing over how in the heck she’s going to get on board that ship, when it suddenly dawned on me – maybe she doesn’t. Maybe she sits down in utter defeat, plagued by the exhaustion and injuries acquired by getting to that point, and maybe she succumbs to unconsciousness right then and there. Maybe it’s okay for her to collapse just shy of reaching her safe haven. Maybe it’s okay for her to simply…sleep on the beach that night. And either it presents an opportunity for her to get into more trouble, or it’s just freaking realistic. Sometimes it’s okay to be realistic. Let’s be honest; there are probably far too many instances that you’re not. Categories: Books, Writing | Tags: book, books, creative, fiction, plotting, tips, write, writer, writing | Permalink.